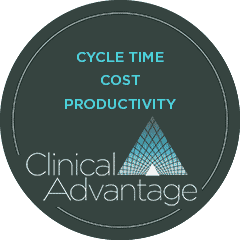 The Clinical Advantage program offers companies the means to address cycle time, trial cost, productivity, outsourcing and effectiveness. KMR’s Cycle Time Program offers a comprehensive solution to selecting the appropriate measures for ongoing performance assessment as well as comparing performance against peers. Our solution includes a user-friendly on-line tool as well as a custom evaluation of your company’s performance on an annual basis. Use Cycle Time Metrix to benchmark your company’s clinical trial performance against the industry, set realistic performance targets, improve overall clinical trial planning, and identify ways to reduce cost through shorter, more effective clinical trials. Clinical Trial Cost Program offers a comprehensive assessment and baseline for how much any given clinical trial costs which can inform portfolio decisions and trial planning. It provides companies with a reliable and transparent comparative assessment of trial cost as well as myriad ways to evaluate cost such as cost per trial, cost per patient and cost per site. There is also a powerful online application. Clinical development productivity remains a key topic for the biopharmaceutical R&D industry, and a range of new opportunities hold the promise to be important improvement levers in this regard. This study benchmarks each company’s productivity ranking, explores why some companies are more productive than others and identifies key drivers that matter most in influencing productivity, e.g., outsourcing, emerging markets, risk based monitoring. Find out where your company stands on this important topic. Outsourcing Performance which includes a study to evaluate the impact of CRO performance on a given company’s overall cycle times and the key drivers that contribute to this; a companion tool to access this information is also available. Portfolio Clinical a study designed to assess clinical strategy or approach to development outcomes. A key question the study seeks to answer is whether some companies are more successful and faster because they run more efficient clinical development programs. More specifically, the study will assess both the size and scope of trials run within a given phase for a specific project to advance to the next phase and ultimately, to market; use of adaptive design; whitespace between specific phases; and role of geography.